While it is not yet known whether the British will vote to leave the EU on 23rd of June, the polls are nevertheless close. Why are the British not scared? 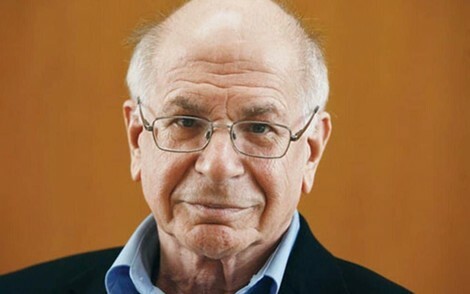 is a question I am often asked.In this piece Nobel Prize winning economist Daniel Kahneman is interviewed about the Brexit issue, and examines the relationship between how much a person knows and whether this allows them to make better decisions. He concludes that this is not the case - contrary to the common claim that if only the British knew more about the EU then they would be more inclinded to stay within it.A further common suggestion is that if the British did choose to leave it would only be a matter of a few years before the country would realise its error and return to the fold. Kahneman casts doubt on this too - "They won't regret it because regret is rare. They'll find a way to explain what happened and blame somebody. That is the general pattern when things go wrong and people are afraid," he said.Kahneman's contribution should be seen in the context of the wider debate about modern politics - the collapse of trust, the plight of the traditional political mainstream, and the rise of so-called 'post-fact' politics as espoused by the pro-Brexit camp and by Donald Trump in the USA. I cannot avoid thinking that the Remain camp's messaging - based on an economic case for remaining in the EU and playing on the fear of the unknown - helps fuel this sort of irrational fear that Kahneman speaks of. If the everyday is not good, then why not take a leap into the unknown?Anyway, on 23rd of June we will know what happens! British voters are succumbing to impulsive gut feelings and irrational reflexes in the Brexit campaign with little regard for the enormous consequences down the road, the world's most influential psychologist has warned.